We know that nothing is more rewarding than working for your prize, right. 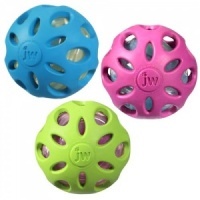 Dogs enjoy a challenge too and this boredom busting interactive treat toy is quite tricky and sure to provide even the cleverest dog with loads of puzzling fun. 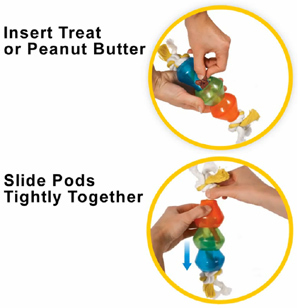 Treat Pods are unique treat dispensing toys that will engage and challenge your dog. Made of three durable pods threaded onto a knotted natural cotton rope. Each pod can hold part of their kibble allowance, treats or even fill the pods with that tasty favourite - peanut butter. Now that’s a challenge! The dog has to manipulate and slide the pods on the rope and every now and then, because of the movement, a treat is released or a bit more tasty spread can be reached. Yum. Watching your dog play and learn is so rewarding. And you will be amazed what just 15-20 minutes of brain busting fun can do for your dog’s emotional state of mind. Happy, mentally satisfied dogs are much less likely to start creating their own mischief. Now that’s got to be good news. 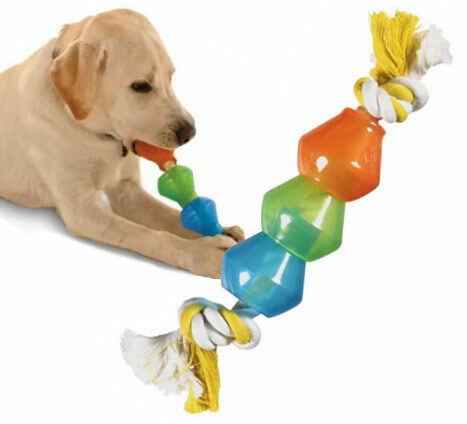 Easy to set up and hours of quiet (yay) fun for your dog. 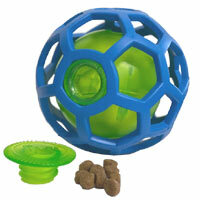 Even empty, Treat Pod is a fun toy to play fetch and tug with, so you get lots of toys in one. Your dog can say "bye bye" to boredom. 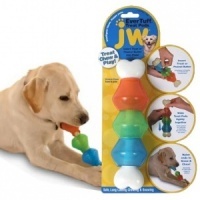 This treat dispensing toy will keep your dog busy and entertained. No toy is completely indestructible. Always supervise play. This interactive toy has kept my puppy occupied & engaged for longer than most other things she has tried. She gets very excited when she see us filling the pods with treats for her. The pods are tough & durable, and it looks like they will survive for longer than a lot of the other toys we have tried. Fast delivery, would recommend D for Dog. 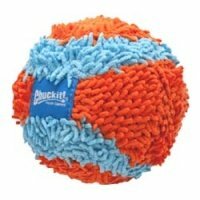 My dog loved this toy. It kept him occupied trying to find out how to get at the treats hidden in the plastic pods. Loved playing 'tug' with him and pulling on the rope. Unfortunately after a couple of weeks he had pulled/chewed at the rope and had undone one end. I trimmed off the surplus rope. 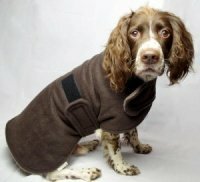 A top product overall, it's just that my dog loves to undo knots! My vizsla loves this as an addition to her Kong. I fill it with various treats and she enjoys getting to them and will play with the toy when not filled as well. She took about one session to figure out how to get the treats out, but you can make it harder by really shoving them in and making sure the sections are properly closed. Robust so far. Not particularly easy to clean though! Even though it didn't take him long to figure out how to getv the treats out, he still enjoys it. We've had it a few weeks now and it still hasn't been sprockered! If I was to order again though I'd Def go for the bigger size! Our dog absolutely loves this 'toy'. It keeps him occupied for a long time both mentally and physically !! a really good value buy.